From what started out as one court with a few players one day a week last summer, has now grown to three courts inside the Guy Thompson Community Center and play two days a week. Starting on Feb. 13 pickleball will expand again to three days a week, but with a unique twist. The new day, Friday’s at 8:45 a.m., is geared more for the beginner or more recreational player, while Tuesdays and Thursdays will remain as they are. 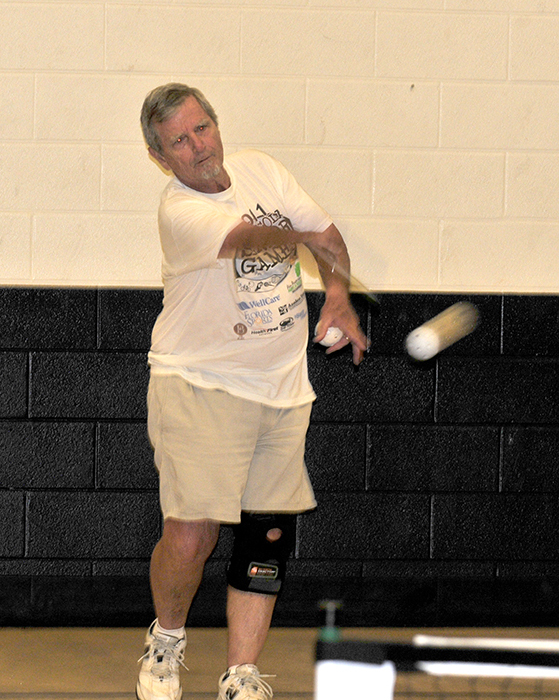 “We are enjoying tremendous growth in the community when it comes to pickleball,” said Milton Parks and Recreation Director John Norton. “Today we have nearly 20 people turning out every Tuesday and Thursday and have seen the skill and competition level rise significantly from where we started. Pickleball is a relatively inexpensive game when you look at the fact that you only need some comfortable clothing to participate in, a pair of tennis shoes, and a paddle. “Some of our players are now starting to participate in tournaments and other events,” Norton said. “This tells me how much the level of play has grown and how the sport itself will continue to grow in the future. “We are excited about helping more players learn the game while getting healthier though a fun and recreational sport. If you would like more information on Pickleball or any of the other activities at the Guy Thompson Community Center you can call 983-5466 or check the Milton Parks Department out on Facebook at www.facebook.com and type in Milton Parks. You can also go online at www.mymiltonflorida.com to learn about all the events and happenings in and around the city of Milton.